The Deep South is a conundrum. It is what it always was and what it can be and often is. It is a world of opposites. There is grinding poverty, as bleak as any in the world, and soaring affluence. It is rural and metropolitan, deeply religious and worldly. There are terrible public schools and innovative high schools for science and math, and there are research parks. The people are both guarded and friendly with strangers. The divide between black and white grows smaller but remains a deep chasm on Sunday mornings and a quiet undertow to too much of daily life. 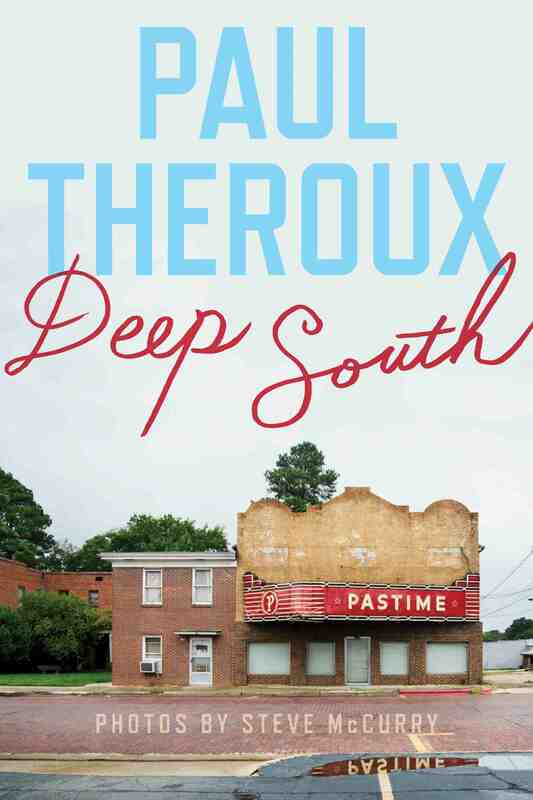 Paul Theroux left his home in the Northeast in October 2012 just before that year’s presidential election and travelled intermittently through four seasons in the Deep South, which is different from the South. The South extends roughly from the Mason-Dixon Line to Florida and west through Kentucky, Mississippi, Arkansas, and Louisiana. That incorporates very different regions including the megalopolis around Washington, D. C., the Research Triangle Park in North Carolina, and Florida, which some would argue is not part of the South. The Deep South centers on Alabama, Mississippi, Georgia, and parts of South Carolina. This compelling account is divided along the four seasons, and the interstices between the seasons are introduced by three short interludes. The “Taboo Word” discusses use of the N-word in black and white cultures; “The Paradoxes of Faulkner” examines the place of the man who wrote, “The past is never dead. It’s not even past.” That was a truth that Theroux discovered again and again. The final interlude is an essay entitled “The Fantastications of Southern Fiction.” He notes in this last that reading had made him a traveler and that travel had sent him back to the books. Each essay would stand alone for Theroux’s acute observations. Along the way he visited gun shows, black churches, dying and dead towns, community development organizations, and homes. He stuck to the back roads. As John Shelton Reed wrote in The Enduring South, there is “nothing distinctly Southern” about the cities, that one has to get into the countryside to see the South. Traveling by car, the road was open and easy for Theroux, providing few of the difficulties he has faced in previous travel accounts. Deep South is a must read if one is to understand the ethos of the South. It is an accurate and thoughtful appraisal of how things persist in a large area. It is a reminder that the more affluent areas are not so far removed from a similar place. It is also a powerful notice that people around the world are not so different, regardless of race or religion. This is an important book as we slide into the newest presidential election cycle and try to gain a deeper understanding of why certain candidates have such a broad appeal. Those who feel disenfranchised in the Deep South are all too similar to their counterparts in the Northeast or the Southwest.